Home appliance maker Daiwa have launched their first 4K TVs in India, the D55UVC6N and D50UVC6N, starting at a price of Rs 29,999. 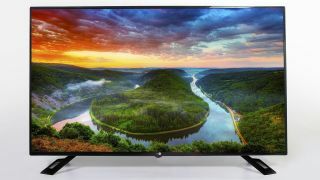 According to Daiwa, these TVs are the most affordable 4K smart TVs in the Indian market. Launched at an event in Delhi, the two Daiwa 4K Smart TVs start at Rs 29,999 and come with thin bezels and an overall slim profile. For assisting users in any issues that may arise, the company has a My Daiwa app on the Google Play store, with the iOS app expected to be made available next month. Daiwa launched two smart TVs today, the D55UVC6N and D50UVC6N, with 55-inch and 49-inch displays respectively. Both the TVs come with A+ grade panels and a resolution of 3840 x 2160 pixels, with support for up to 1.07 billion colours. Running on an unspecified version of Android, both the Daiwa 4K TVs come with 1GB RAM, 8GB internal storage, 3 HDMI ports and 2 USB ports. In case users want to stream content, Daiwa has also included an Ethernet port for a more efficient connectivity option. Other features of the Daiwa 4K smart TVs include 20W speakers, Dolby sound support, screen capture, Eco vision and M.Cast feature that lets users mirror the content on their Android and iPhones using the E-Share app. The Daiwa 4K smart TVs come in two variants – 49-inch and 55-inch; the 49-inch variant is priced at Rs 29,999 while the 55-inch variant is priced at Rs 36,999.